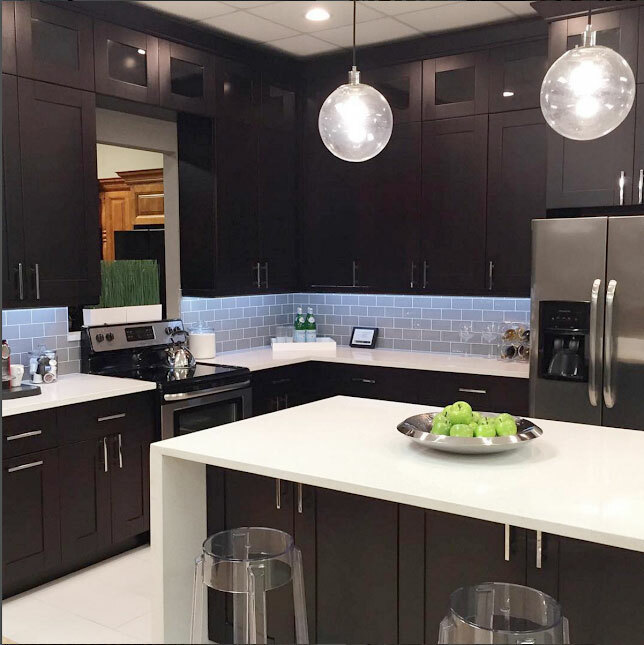 Rich, ultra-modern chic, Midnight Espresso is a frameless cabinet line featuring bold, clean lines and richly elegant details. Five Piece Mitered Door (rails milled to fit stiles). Slab Drawer Face (top base drawer only). All 3/4-inch Plywood Box Construction. 5301 West W. T. Harris Blvd.